Renovating your House? Read this first. Hi again! Welcome back to my Home and Garden blog. When me and my partner began our house renovation we were very naive. We didn’t realise just how inconvenient it would be having different rooms out of use for months at a time. Our house was a bit of a remodelling nightmare, as we had to remodel every single room, and had a rather small budget to complete it all in. However luckily for you all, we have learnt a lot from our mistakes, as well as other peoples, and wanted to share with you some of the things we have learnt! 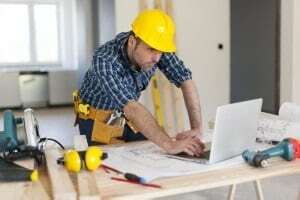 One of the most important steps for any renovation or DIY project is to be realistic about your budget, and to make sure that you have enough set aside for any inevitable issues that will pop up. We recommend setting aside an extra 20% to any estimations! Make sure before you set anything in stone or start knocking down walls you have spoken to others who have renovated their houses. Speak to Estate Agents as well as many different contractors. It’s so important that when you start your renovations you are aware of the process and what to expect. It’s also important to be able to show and explain exactly what you’re looking for. Normally being an optimist is preferrable, but be realistic about your renovations. Be prepared for what you can accomplish on a budget, and maybe having to go away and save up more money before you can start. Renovations are expensive and having to pay back money afterwards can be a real nightmare. If you’re fortunate to not have to live on site during your renovations make sure that you visit at least every other day, I’d even recommend everyday. Mistakes will happen, and the quicker they’re noticed the less expensive they will be to change. Hopefully this will help you, I’ll be back in a few days to tell you some more tips and tricks.